I can’t believe summer is nearly over, kids are going back to school and soon it will be Winter! But before Winter is Fall, my favorite time of the year in the PNW and to show how much I love it I am sharing something with you that’s pretty exciting! 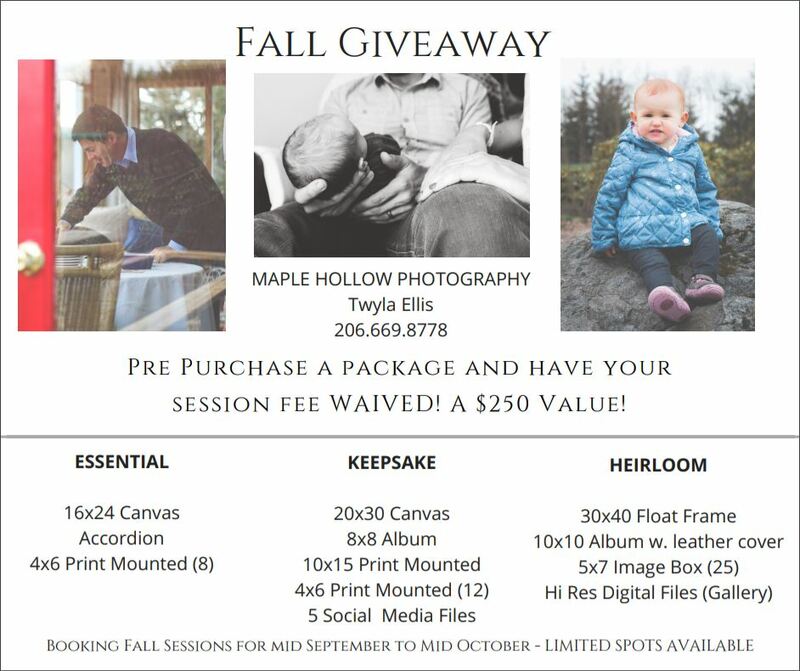 If you are interested I would love to chat with you about your vision for your Fall Giveaway session. If you know someone who might be interested go ahead and tag them and if you want more information please feel free to contact me via my FB or website.